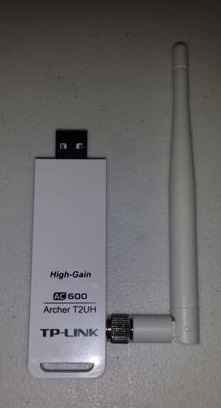 The TP-Link Archer T2UH is a averaged sized dongle about the size of a flash drive with a 2-3 dBi antenna attached. The speed is listed as 433Mbps on 5GHz and 150Mbps on 2.4 GHz. This gives it the possible transfer rate of 583Mbps when both 2.4Ghz And 5Ghz bands are used. One of the problems with this speed is that it is a USB 2.0 dongle which can only transfer up-to 480Mbps. With a USB 2.0 bottleneck reaching these speeds will be all but impossible. Of course no dongle ever matches it theoretical speeds. And since Wireless-N maxes out around 150/300 Mbps this will still be a boost. The test machine we used was a Windows 10 machine even though the TP-Link Archer T2UH doesn’t have drivers listed for Windows 10 and only up-to Win 8.1. 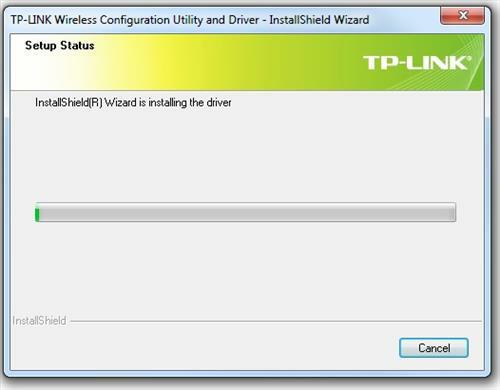 While it did work with Windows 10 we could only get it to work with Wireless-N.
TP-Link may provide a driver for Windows 10 in the future, but if it is used currently on a Win 10 machine don’t expect the full potential of the adapter. At least not at the time of this writing and until drivers are provided for Win 10. 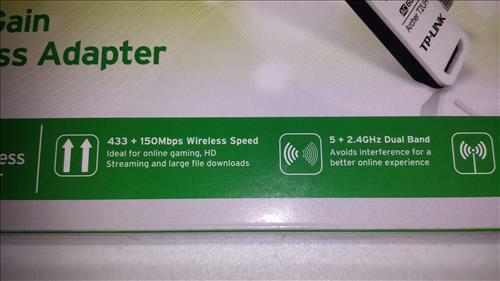 It recognized and connected to the 2.4 GHz and 5 GHz frequency on the router without any problems. The first speed test done at speedtest.net maxed out our connection at 50Mbps down and 5 Mbps up. Iperf3 was used next on a internal network using a Windows 7 Desktop. 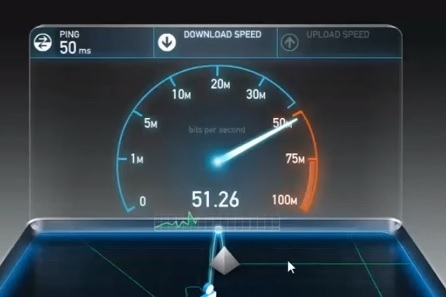 It gave us a speed of 55.4 Megabits per second. Next the 5Ghz 802.11ac was connected and Iperf3 was used again on our internal network. It gave us a speed of 94.5 Megabits per a second. The TP-Link Archer T2UH USB adapter is a good unit for internet connections with average speeds. Most home and business internet connections rarely go over 100Mbps. With that in mind the Archer T2UH is more than capable of giving a computer good connection speeds. The lack of dedicated Windows 10 drivers didn’t stop it from working with Win 10 but only seen it as a Wireless-N dongle. The high gain antenna with help with those who need to get more distance from their wireless. This is a good low cost wireless long range USB adapter for the average home user, if you are a high end gamer or huge bandwidth hog another adapter would be better. What about pentest? Is it available like TP LINK TL-WN722N (https://www.wirelesshack.org/review-tp-link-tl-wn722n-wireless-n150-high-gain-usb-adapter.html) ? Unfortunately no it cant Pen Test.